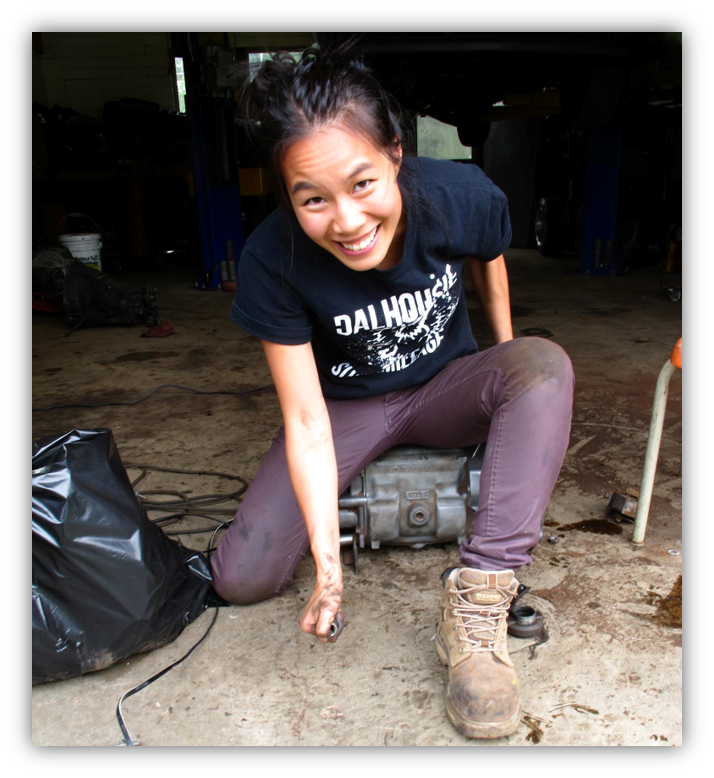 As part of her PhD, she is a member of the Transatlantic Ocean System Science and Technology (TOSST) joint graduate school, which links ocean research between Canada and Germany.​ We asked her to write about her experience in the unique globe-spanning program. Having always been a (rather indiscriminate) bookworm, I’ve chewed through and churned out a fair bit of writing on a diverse range of topics. 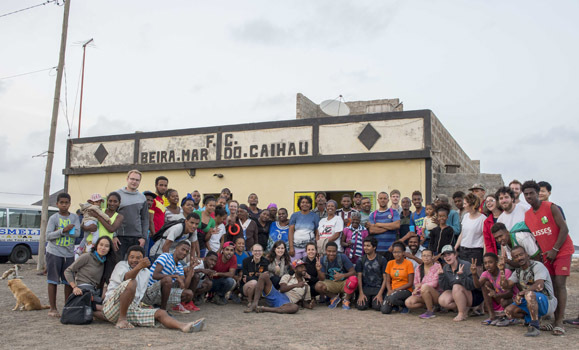 So, it was without a second thought that I volunteered to write an article about a two-week graduate school collaboration between Transatlantic Ocean System Science and Technology (TOSST, Dalhousie University, Canada), Helmholtz Research School for Ocean Science and Technology (HOSST, Kiel University, Germany), and University of Cabo Verde, Cabo Verde (UNI-CV). Surprisingly, however, this article has been one of the most challenging pieces I’ve ever written. 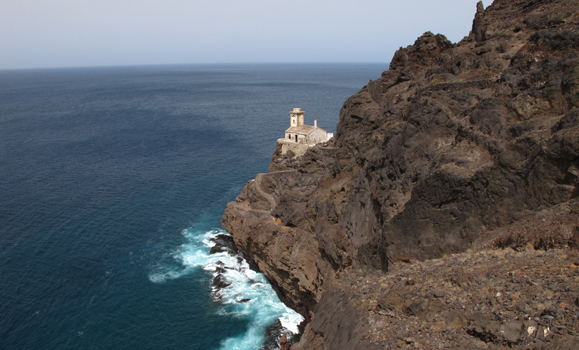 My first draft was an overview of the HOSST/TOSST ocean sciences graduate school, followed by a brief account of our trip to Cabo Verde in June to join students from UNI-CV in studying the geological features of the area. This unique summer school prepares graduates for an increasingly internationalized work environment. Candidates interact weekly with their supervisors and fellow students located in Germany and Canada and complete a semester-long research exchange in Germany. Francisco’s use of the word “family” underscores a fact about graduate students that is often overlooked: many are separated from our families and childhood friends, and students from HOSST/TOSST/UNI-CV, who hail from sixteen different countries, are no exception. In fact, I am the only one out of the Dalhousie cohort whose family lives locally. For this reason, most of my fellow graduate students spend the larger part of their days in a solo pursuit of a hazy finish line on the far horizon, immersed in a specialized world far removed from all others. 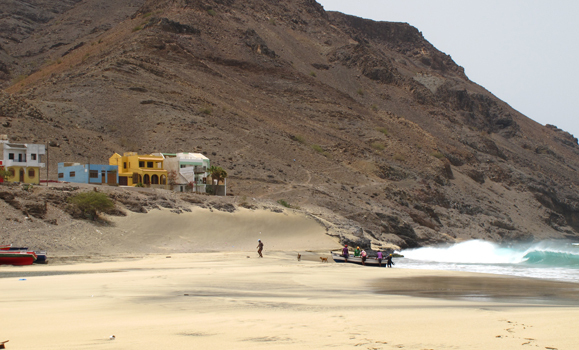 The Cabo Verdean approach to life, or morabeza, is much more relaxed and prioritizes relationships — whether they be between humans, animals, or the environment – that are often forgotten or neglected. This approach is, as we quickly came to realize, far healthier (although initially for many of us, perhaps, far more stressful) than the isolated, contained, and controlled environments that we slowly let go of. 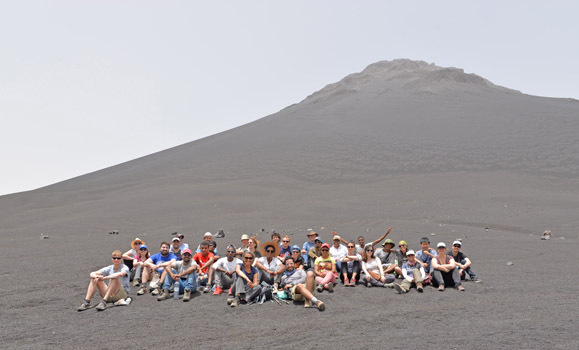 Perhaps the best lesson we received on this subject was during an overnight trip to Fogo, a volcanic island whose most recent eruption in 2014/2015 destroyed three villages and forced the evacuation of thousands. At night, we escaped from the heat emanating from the floors of our hut, which were built on the hardened volcanic lava and too hot to stand on in bare feet, to its rooftop. Lying under the stars on top of the funco, a traditional house constructed from volcanic rock, with Pico do Fogo looming darkly in the background, our discussions gradually transitioned with the coming of dawn from volcanology to human resilience when faced with the uncertainty of life, exemplified so well by the people of Fogo. What sleep we lost that night was more than compensated by the simple experience of sharing our thoughts and discovering common ground in what we thought were very different life stories. One hundred and twenty years ago, Joshua Slocum decided to enrich his everyday life by thoroughly altering its pattern and embarking on a quest to circumnavigate the globe. It took him more than three years to finally complete the journey, which, incidentally, was the world’s first successful solo sailing expedition around the world. Overseas travel has come a long way since Slocum’s time: it is becoming increasingly rarer to find someone who hasn’t crossed an ocean or two in their lives for work, school, and/or vacation. While technology has made it easier to build international networks and experience new cultures, it has also made human interaction optional. Even on a journey that necessitated an immense amount of solo travel, Slocum still managed to make more friends than most international travelers today, who, with a mobile device and a host of apps as travel companions and guides, rarely allow themselves the time or opportunity to simply spend time with strangers. There is always a schedule or a timeline to meet – whether it is back-to-back business meetings, academic seminars, or jam-packed family holiday agendas, and there never seems to be enough time or money to do it all. Given these demands, how can one justify the time and expense of unstructured, unscheduled time in a foreign country with complete strangers? Learn more about TOSST at its website.